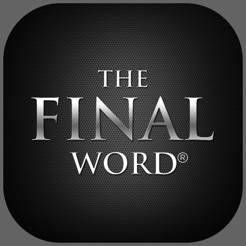 Do you want to have THE FINAL WORD? 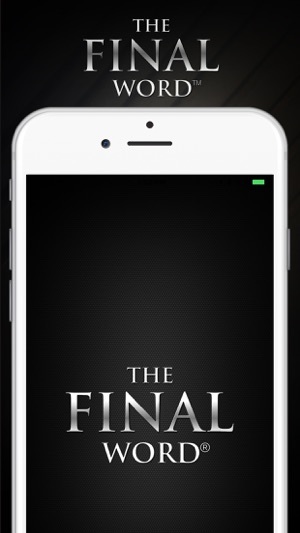 THE FINAL WORD entertainment app is optimized for continuous laughing! 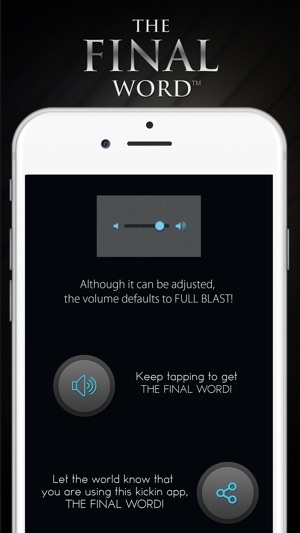 - With the push of a "button," randomized phrases are heard! - Have fun with your friends, relatives, neighbors, classmates and more! 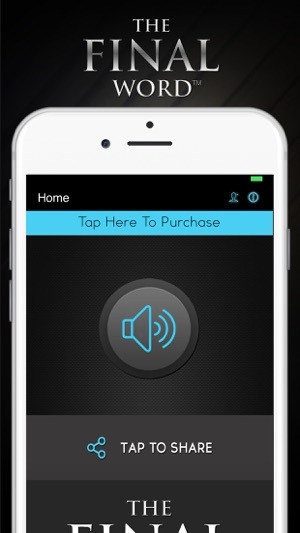 With THE FINAL WORD entertainment app you can control how loud you want to be heard, you can press the button as many times as you like and you never know what you are going to get. 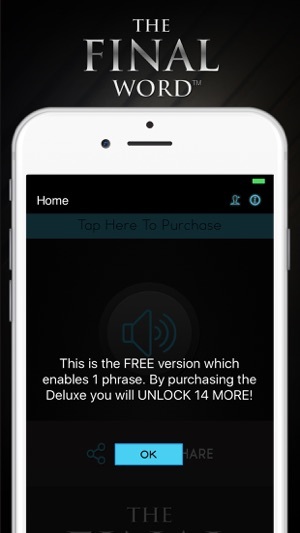 The FREE version comes with ONE phrase and can be downloaded for free. I paid and printed so you don't waste your money. Had this been like the 90s Final Word (From Spencers) it might have been worth it. These sayings might have been decent if they where recorded properly and not overmodulated and too close to the microphone. It's all in the recordings and should have been recorded properly and with a professional equipment and compressor to limiter to not sound horrible. Don't waste your money like I just wasted. I bought this app because it WAS funny. The phrases were hilarious. If i knew you were going to change this I never would have purchased it. I cannot even understand what the dude is saying fir some of them. 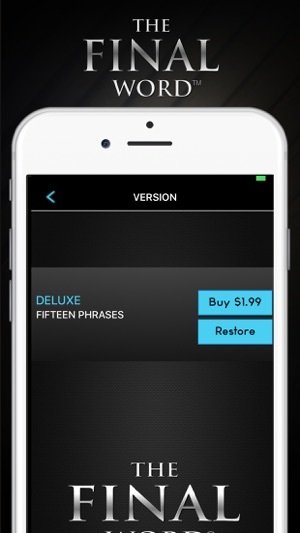 I want the old version back otherwise I will delete it and be very sorry i sent you money for this. This is nothing like the original. The 80’s version with its 80’s technology was clearer, funnier and definitely more risqué. Don’t waste your money until they can replicate the phases and quality of the original.